This post is part of the Classic Movie Blog Association's "Fabulous Films of the 50s Blogathon." You'll find the entire list of CMBA participating sites here. Admire it or not, Irving Stone’s 1934 bestselling novel Lust for Life allowed the popular image of Vincent Van Gogh to sweep through mainstream America in a way that gallery exhibitions had not and possibly never could. The cult of the famous failed painter, who had only sold one painting during his short lifetime, had been growing in art’s inner circles for much longer, gaining steam along with the entire avant garde at the 1913 Armory Show in New York and standing out through publication of several of Van Gogh’s letters by his brother Theo's widow in 1914. Given all of the color and intensity of Van Gogh's work, it is ironic that he was launched as a mainstream pop culture figure in America through the printed word in a book that did not even contain lush reproductions of his art. Above: Anthony Quinn as Paul Gauguin with Kirk Douglas in the background as Vincent Van Gogh. Gauguin has just joined Vincent in Arles and finds that his friend has been busy. Beyond invigorating Van Gogh’s reputation and legacy with the mass public, Lust for Life launched a career for Stone that would encompass some twenty-five books through the time of his death in 1989 at age 86. The Van Gogh book is usually paired with the Michelangelo book, The Agony and the Ecstasy, when discussing Stone, though The Agony and the Ecstasy was published many years later in 1961. 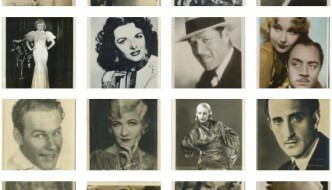 But Stone did not just render fictionalized biographies of figures from the world of art: He also published novels with subjects as varied as Sigmund Freud, Jack London, Abraham and Mary Lincoln, Clarence Darrow and Earl Warren. It was a long and fruitful career but a trailblazing path that was initially stalled by failure and often accompanied by harsh criticism that called his work anything from lazy to dangerous. Stone was known for his intensive research so why, asked the naysayers, doesn’t he just write straight biography? “Biography is all facts. It appeals to the intellect only,” said Stone in 1962, about a year after publication of his Michelangelo book. “But with a biographical novel, you can move the reader emotionally. Feel something emotionally and you’ll never forget it” ("Biography"). Stone went to Paris in 1926 with plans to spend a year writing plays. Upon his arrival he was exposed to Van Gogh’s paintings for the first time and a new course was begun. Stone trekked across Holland, Belgium and France, all the while becoming intimately familiar with Van Gogh’s letters. Hundreds of additional letters were made available from the time of the 1914 published edition and Stone himself would preside over a condensed version of Van Gogh's letters published in 1937. In a note dated June 6, 1934 that follows the original text of Lust for Life, Stone acknowledges Van Gogh “friends and enthusiasts” who aided him in his research with first or second-hand accounts of the artist. Sticking to names we can recognize from the 1956 film, this included the family of artist and Van Gogh relation Anton Mauve; Dr. Felix Rey, who attended Van Gogh in Arles after the artist severed his ear; and Paul Gachet, the art lover who treated Van Gogh at the end of his life in Auvers. Stone’s completed novel, Lust for Life, would be rejected by seventeen or more major publishing houses in New York and Boston before finally finding a home with Longmans, Green & Co. in 1934. Stone told his story of rejection numerous times throughout his career. In 1978 he told an interviewer that editors and art experts at Doubleday had approved his manuscript, but when Lust for Life reached the sales department they said, “‘No way. There is no way to sell a book about an unknown Dutch painter’ — and in 1931 Van Gogh was unknown — ‘to the American public in the midst of a depression.’” After establishing himself Stone eventually did sign on with Doubleday and the publishing house later bought the rights to Lust for Life from the original publisher, Longmans. It remains in print to this day. That last bit probably has everything to do with the movie. The first report I could find of a potential Lust for Life film adaptation comes in 1937 when Film Daily reported that Edward G. Robinson might star in a film for Associated Artists. That, along with a later Louella Parsons column tabbing John Garfield as Van Gogh in a Warner Bros. version of the book, were probably just rumor, as Stone’s novel wasn’t sold until 1946, when MGM picked it up with plans to star Spencer Tracy as Van Gogh as soon as he completed work on Cass Timberlane (1947). Tracy would have been a little old for the part, but from all of the names I’ve seen associated with rumored Lust for Life projects--and add Van Johnson to those above--Tracy is the only actor other than Kirk Douglas who I could possibly imagine in the part. Even beyond any extra censoring, which according to '40s reports would have likely included a title change, we would have had a much different movie with Tracy bringing a much quieter intensity to Van Gogh than Douglas, whose outward physical rage Tracy could have never matched, nor do I think he would have tried. “The next picture I wanted the Bryna Company to produce, and me to star in, was Lust for Life,” Douglas writes in The Ragman's Son . It was director Jean Negulesco who had pointed out to Douglas the resemblance between the actor and Van Gogh, stirring Douglas enough to eventually announce that his company would produce a film version of the novel. “I got a call from MGM. ‘Guess again. We own Lust for Life,’” they told him (239). But nearing the end of their ten-year agreement with author Stone, MGM suddenly felt pressure to make Lust for Life, especially after John Huston’s success with a filmed version of Toulouse-Latrec’s life, Moulin Rouge starring Jose Ferrer, in 1952. Old scripts were put aside and Norman Corwin was brought in by producer John Houseman to create a new screenplay. “I don’t think much of the book,” Corwin told Houseman, after finding value not in Stone’s fiction, but in the source of Van Gogh’s actual letters that Stone colored with his fiction (Forrest 313). Having read Stone’s novel in preparation for this piece, as well as having gone over several of Van Gogh's original letters, all archived online by the Van Gogh Museum, I don’t disagree with Corwin. The Stone novel is entertaining, but immature in spots and, at least after having been familiar with the film for some time, includes several episodes from Van Gogh’s life, fact or fiction, that were correctly excised from the film. Kirk Douglas wound up getting his wish when producer Houseman reunited the team from The Bad and the Beautiful, signing Douglas to star and Vincente Minnelli to direct. Just as Stone had done when writing his novel, the MGM film unfolds across the actual locations where Van Gogh had lived and worked throughout Holland, Belgium and France. While author Stone is to be credited for writing a novel that brings all of the necessary visuals to life for the reader, the Minnelli film deserves applause for actually showing them. The opening credits to the film express gratitude to an extensive list of museums who allowed their Van Gogh paintings to be exhibited in the film. Thinking back to the possible Lust for Life adaptation with Spencer Tracy planned ten years earlier, I can’t help but to think of the 1942 United Artists release, The Moon and Sixpence, an adaptation of W. Somerset Maugham’s more heavily fictionalized account of Paul Gauguin starring George Sanders. Sanders is painting throughout The Moon and Sixpence, but all we see are the backs of the canvases in what is mostly a black and white film. Can you imagine Lust for Life without seeing any of Van Gogh’s paintings or, probably worse, seeing them in black and white? Instead we get color by Metrocolor and a film shot in widescreen CinemaScope, a combination that helps to bring Van Gogh to life as well as any film could. “You really mean that, Paul,” Van Gogh replies, astonished it could be so. Later, as they are about to enter a drinking hall, Gauguin, bored with Arles to this point, excites himself by joining into a street fight. Vincent watches, pinned against a wall, seemingly repulsed by the entire incident. “That’s why I let it out before it hurts me,” Gauguin replies. It is an earlier moment in this same scene that a touch of subtlety stretches a long way in showing how the film turns out superior to the novel. Inside the drinking hall, Vincent is seated with his prostitute friend, Rachel (Julie Robinson), while Gauguin still scopes out what will be his new haunt. Just before Gauguin sits down with them the woman casually drapes a piece of jewelry over Vincent’s left ear, foreshadowing the inevitable moment of the movie which we know must soon come. There is no spoken reference to the action. Minnelli and Corwin employ great subtlety in this moment, especially in comparison to novelist Stone, whose Rachel is, I assume more accurately, a very chatty sixteen-year-old prostitute. Upon their meeting Stone shocks us when within a few moments when the playful girl teases Vincent by commenting, “What funny little ears you have” (382). After asking her is she really likes them Vincent says, “Then you can have them.” Then, not thirty pages later, Rachel asks Vincent to “give me your funny little ears” (414) as proof of his apology for staying away for too long. A few pages later, at the end of that same meeting, when Vincent declines to join Rachel in private that evening because he does not have the money, she offers, “Then will you give me your ear instead?” (421). Vincent simply replies, “Yes.” All this was achieved to much less jarring effect in the film by Rachel just fawning over Vincent’s ear with a piece of jewelry. Above: Julie Robinson, as Rachel, plays with Van Gogh's ear. For pure shock value Stone’s course continues to differ from the film when Vincent, upon severing his ear, wraps it up nicely and delivers it to Rachel, who is, of course, horrified. The film instead takes the opportunity to ice the Van Gogh-Gauguin relationship with a moment of insane treachery that finally leaves Gauguin to understand just how ill his friend is, before giving over to a moment of private anguish that sees Vincent battle his own reflection in a mirror with a straight-razor clutched between his fingers. As he runs his hands over his head and face trying to stop the pain, or perhaps contain the demons, the razor threatens just by virtue of its proximity and our foreknowledge of what is about to happen. Again, subtlety rules the visual medium as we do not see Van Gogh perform the act of self-mutiliation. Instead, the Miklos Rozsa soundtrack swells to disturbing proportions while Vincent stands before the mirror, only to fade to silence as Kirk Douglas steps out of view. The scene ends with a tortured animal cry and we know the deed has been done. For those without an intimate knowledge of the finer arts, including myself, for better or for worse, Kirk Douglas is Vincent Van Gogh, or at least Van Gogh immortalized. Lust for Life is available on DVD from Warner Home Video or as one of four movies on Turner Classic Movies' Greatest Classic Legends: Kirk Douglas . Irving Stone's novel can be found on Amazon.com in several different editions here. .
”Biography Gets New Status.” Daytona Beach Sunday News-Journal 10 Jun 1962: 7C. Web. Google News. 27 May 2014. Forrest, Jennifer and Leonard R. Koos, ed. Dead Ringers: The Remake in Theory and Practice Albany: SUNY Press, 2002. Web. Google Books. 28 May 2014. Thomas, Bob. “Irving Stone Takes Time to Know Subjects.” Beaver County Times 3 Nov 1985: D2. Web. Google News. 27 May 2014. Douglas, Kirk. The Ragman's Son New York: Simon & Shuster, 1987. Stone, Irving. Lust for Life 50th Anniversary Edition. New York: Plume, 1984. Once again, this post is part of the Classic Movie Blog Association's "Fabulous Films of the 50s Blogathon." 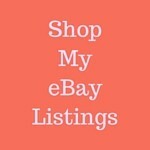 You'll find the entire list of CMBA participating sites here. 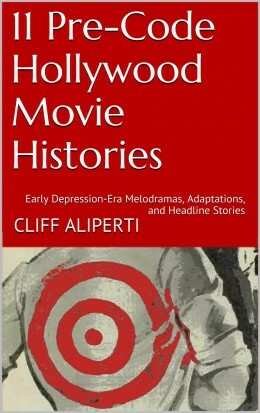 Fascinating background on the original book, Cliff. Great work on this piece, well written and informative. Interesting your remark about Van Johnson, and though I’d never thought about it, I agree with you about him in this role. Terrific post, thanks. Thanks so much! I spotted Johnson in a single rumor sometime after it became apparent that it wasn’t going to happen with Tracy. I don’t know how seriously MGM considered it, but I can’t imagine him pulling this off. I was really drawn into your background to the film and the history of Stone; such interesting and informative material to the film. I frankly can’t imagine Van Johnson in the role (though it’s always fun to speculate on the might-have-been scenarios); but Kirk Douglas was probably the best choice at the time. Really well-done post, I enjoyed it so much. Thank you! No, I can’t see Johnson either. Tracy is the only other one I could imagine, but like I say up above, that’s a very different movie. The Stone stuff was fun to pull together. He seemed pretty chatty in the press from the ’60s onward, so there was a lot of great material to choose from. 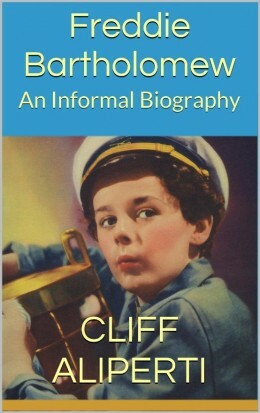 Thanks for all the background information on the book, Cliff, it was really fascinating. It really adds a lot of depth to your discussion of the film’s visual elements. You have to admit that director Vincente Minnelli was surely the ideal choice for a story about obsessive artists. Glad you decided to participate in the blogathon. Thanks, Aubyn. The book was a fun read, but sometimes it felt a little too fun … especially in Paris when all of the artists were gathered together. Stone also tended to spell out his details a bit too much (the ear, a later reference to Van Gogh as the Christ man for his early work at the mines, etc.). But what Stone did certainly worked when it came to the bottom line of book sales. The best essay I’ve ever read about LUST FOR LIFE. I can’t imagine Tracy, Garfield, or Johnson in the lead role. I think films about the artistic process pose a significant challenge. LUST FOR LIFE is an ambitious film that often succeeds and Kirk gives a passionate performance. Rick, I remain tantalized by the possibility of Tracy, but very happy we got Douglas in the end. This was turmoil/rage that I wanted to see and Kirk definitely shows it to us! Truly Douglas and Van Gogh are the same to me. It’s a performance that feels like life. The historical perspective and the trail Stone’s novel took to filmization reminds us of all the stars that have to align to create something so special. I with you, Patricia, Douglas is the Van Gogh that I imagine. So glad they waited because so many of those other possibilities smell like trouble. I’m so glad I watched The Moon and Sixpence again while I was putting this together, because I think that movie, albeit enjoyable, is about where a ’30s or even ’40s Lust would have wound up — suggestions that the Breen office might have forced them to change the title point in a bad direction! Cliff, This is a superb essay!!! The background information on Stone and the LUST FOR LIFE novel are worth a ton all by itself. I love movies about artists and this is one of my favorites. The MGM colors are as lush as Van Gogh’s paintings. Kirk Douglas just melts away into his portrayal of Van Gogh. Well done! Thanks so much, John! Me too, not just artists but movies about anyone creative that somehow capture a bit of the spark of inspiration tend to become favorites of mine. I knew this would be a great review after finding out you not only read the biography but watched the film recently. You’ve put so much work into this. I really enjoyed the backstory, how Lust For Life came to be and the fun rumors about who would play Van Gogh. Not sure how I feel about Garfield in the lead. Kirk was so perfect in the part and each time I come across an article on Van Gogh or his work I do think of Kirk’s portrayal of the master. Such a well written review and I always enjoy your take on any film. It gives me a lot to think about the next time I watch it. So glad you signed on for the Blogathon and I’m thrilled you’re back in the CMBA. Thanks for the welcome back, Page, and thanks for moving the date for me. I was racing to finish the book because, much to my surprise, Gauguin doesn’t move in with Van Gogh until almost the very end of the book. I definitely needed that material to finish this one up the way I wanted to! Some years ago I attended a screening of Lust for Life at a local university. A theater arts professor gave the introductory remarks, and related a story about Kirk Douglas screening the film for some Hollywood friends, John Wayne among them. 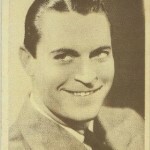 Wayne supposedly took Kirk aside and chided him for portraying such a weakling, telling Douglas that guys like them were meant to be heroes on the big screen. Thank goodness Douglas had more imagination and sense than the one-note Duke Wayne — his is one of the truly great performances. Great choice, great essay. Brian, Douglas tells that story in the book I referred to above, The Ragman’s Son. It must have bugged Kirk quite a bit, because after mentioning it in the section telling about Lust for Life he actually repeats it a couple of hundred pages later near the end of his story! Excellent post! Well researched and thoughtful. Historical fiction is often smirked at, even though it sells quite well. I’m a fan of this movie–it’s so shocking and well acted. Thanks, Kim! Historical fiction can be extremely absorbing and a great way to remember details that the actually history books couldn’t pound into you. We, as readers, just need to make sure those details aren’t the fictional part! I have loved Vincent Van Gogh’s art for more than a few decades and have been moved by his story – such incredible talent, such intense suffering. Though I don’t think of Kirk Douglas as Van Gogh, I do admire him in the role (and Anthony Quinn as Gauguin, as well) and love what Minnelli made of Stone’s fictional history. It is a gorgeous film. This is such a fascinating piece, Cliff. I knew nothing, really, of Irving Stone or his work beyond the titles of his bestsellers. He must’ve been one of the early modern day historical novelists and his point about the emotional appeal of fiction over straight fact is well taken. Is it any wonder that historical fiction has become so popular, a genre in its own right? I love your thoroughness and detail, and that you made a point of reading Stone’s novel and were able to contrast it with Minnelli’s adaptation. This is a fine tribute to a film that seems to me somewhat overlooked among the classics of the ’50s. Great choice and truly great work, Cliff. Thanks @Lady Eve. I also found the Irving Stone info fascinating and was happy that he was so chatty with the press by the ’60s and ’70s. That said, I wish I could have uncovered more about Stone, his book and Van Gogh from around the actual time of publication in 1934. Stone’s aside, “and in 1931 Van Gogh was unknown,” struck me as worth pursuing and I get the general impression that outside of the art community the statement was more true than false, at least in the U.S. With it he’s claiming a big part of the legacy of the Van Gogh legacy, which seemed to justify my take of “Douglas is Van Gogh.” It was definitely an interesting subject to research and now I wish I could have put even more time into it. I found this book at a thrift store near my town? The publishing date on it says 1937. I got it for a dollar! @Cheyenne – A good buy, especially because it’s still such a good read! Enjoy! Vivid and intense! Kirk Douglas gives an intense and near perfect performance. Widescreen with appropriately blazing color. Vincent Minnelli improves upon Irving Stone's novel.